Sukōpī are dangerous arachnid creatures, designed after scorpions, which appear in Donkey Kong for Game Boy. Three can be seen in Stage 5-11 of the Desert, out of which only two can be interacted with, since the other one is left out of the boundaries of the stage's accessible map. A lone Sukōpī can also be found in Stage 8-6. Sukōpī are indestructible enemies that run up walls and ceilings, always following the path opening in front of them and walking at a constant speed. Should Mario come in contact with one of these enemies, he loses a life. 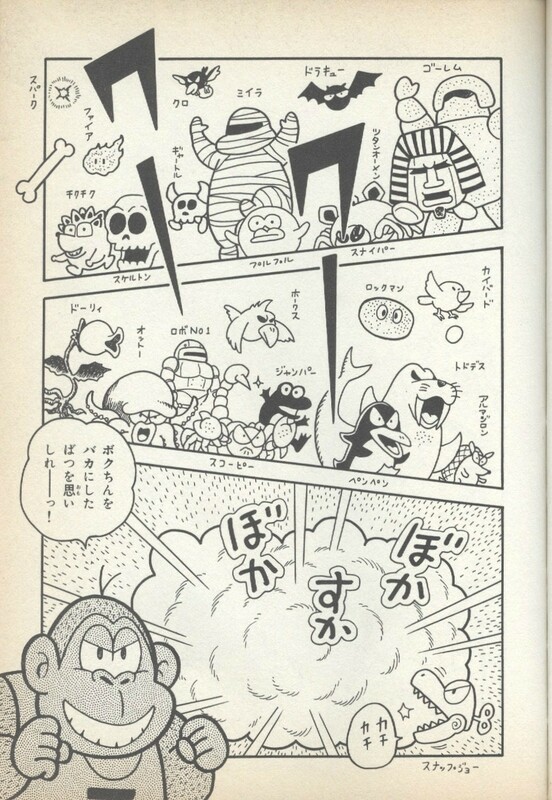 Prior to exploring Stage 5-11, Mario encounters an enemy species whose members behave the same as Sukōpī, which are called Sniper. In Stage 5-11, Sukōpī bustle inside small areas delimited by gates, which Mario can trigger by pulling switches. The hero can thus influence the enemies' space restrictions, as well as his own susceptibility to potential enemy attacks. This page was last edited on April 10, 2018, at 12:40.